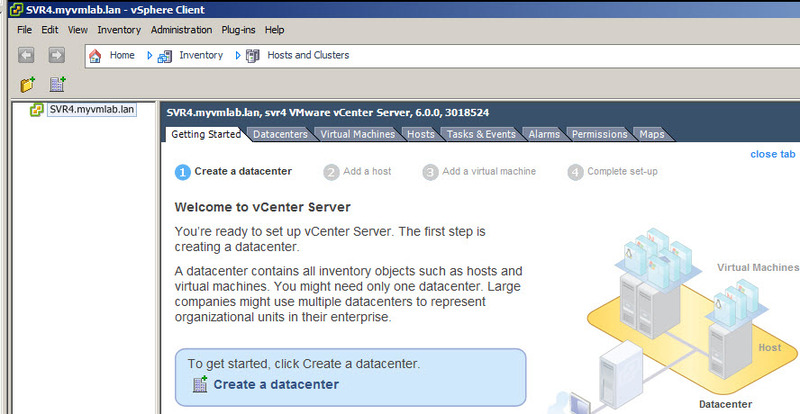 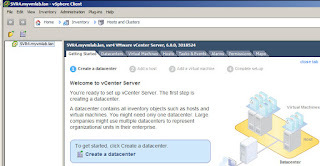 Now that we have installed vCenter Server, we can use it to manage our vSphere environment. 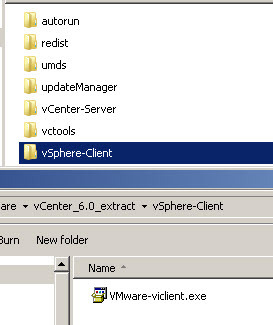 In particular, we can use it to manage ESXi hosts, something that I will examine in a later blog post. 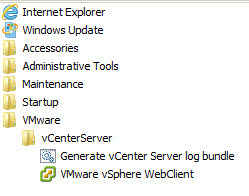 For now, I want to demonstrate how we can access vCenter. 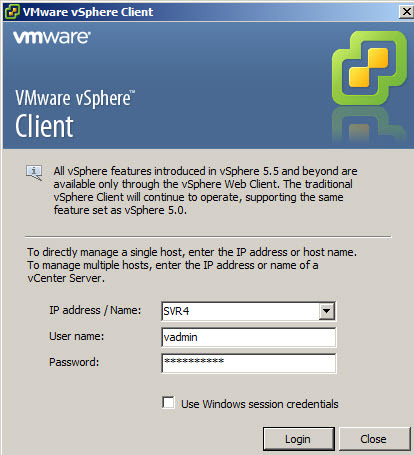 This message is preceded by another that disappears almost instantly but informs us that the VMware web client cannot function without Flash (11.5 or above). 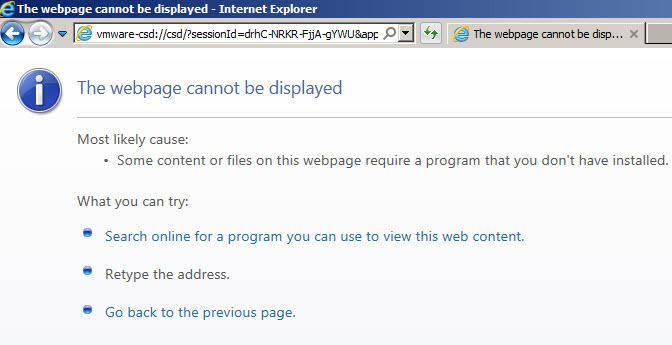 So I install Flash (for IE 11 - the browser used above) but... it still does not work (same error message). Strangely, I made this attempt (using the URL in the shortcut properties above), before installing Flash for Chrome (and I even uninstalled the Flash version for Windows "just to be sure"). In fact, I was successful because Chrome has included Flash as part of the browser rather than a separate component we need to add in "Programs". 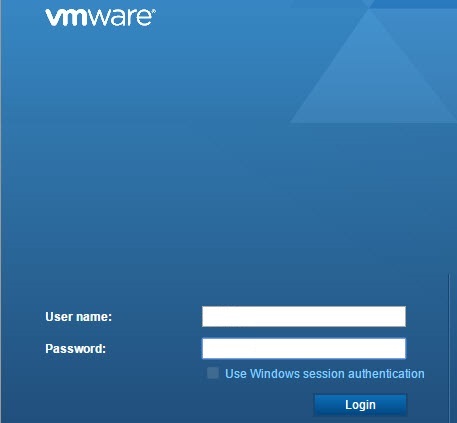 That does allow me to login. You'll see the web interface in a later blog post when I demonstrate how to configure Single Sign-On. Otherwise, when we open the client to logon, we see a warning that the legacy client only allows us to manage features that existed with vSphere 5. 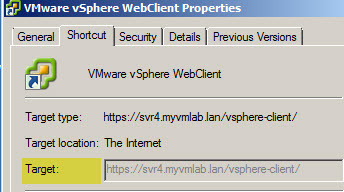 If we want to manage newer features, we have to use the web client. In the following blog posts, I will use the "WebClient" because we have no other choice if we want to manage features introduced since vSphere 5.0 (unless we are proficient at the command line).